Parafarmacia Campoamor is a pioneer in offering our clients a customized nutrition service, that includes an online progress control and diet monitoring. What makes a difference in our online nutrition service is that our diets, which are developed by expert nutritionists, are not only focused on weight loss but also can be made to treat a chronic disease as diabetes, hypercholesterolemia, metabolic syndrome, liver or kidney diseases and rest of pathologies which are directly related to nutrition in general. Diets are customized according to the preferences, diseases and dietary habits of our customers. The diets are nutritionally balanced and complete. They are based on a Mediterranean diet but excluding the excess of saturated fats and simple sugars. The diets are hypocaloric with a minimum but sufficient caloric restriction to make a weight loss result of 0.5 to 1 kg per week. This results in a maximum reduction or even more, in a total cancelation of the anxiety related to hungry between meals. Weight loss of over 1 kg per week are much more metabolic stressing and can more easily result in a weight increase rebound effect or in an undesirable fat mass increase. With this type of diets, our nutrition service is sure that our patients loose the desired weight in a health and secure way until they achieve the optimal BMI (Body mass index). The diets and the progress control are weekly made. In our section of Customized Diets, there are uploaded the INITIATION DIET, for the first week of treatment, and the CONTINUATION DIET, for the following weeks of treatment. A patient wishing to start with our nutrition online service needs to acquire the initiation diet first. After the purchase, the nutritionist responsible will send a questionnaire through email to be fulfilled by the patient. Once the nutritionist service receives the fulfilled questionnaire back, will elaborate the diet in 1-2 working days and will send the diet to the client. 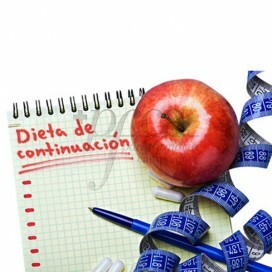 The diet is made for 1 week, so if the patient wants to change the diet for the following week and obtain feedback, needs to purchase a continuation diet. The continuation diet is customized according to the customer subjective opinion and after the analysis of the results progression. The nutrition service is responsibility of a chief pharmacist specialist in nutrition, who monitor the diets and the results. If you need more information, please contact us directly at info@parafarmaciacampoamor.com or call us to: 0034- 965 32 06 32 | +34-656 623 907.